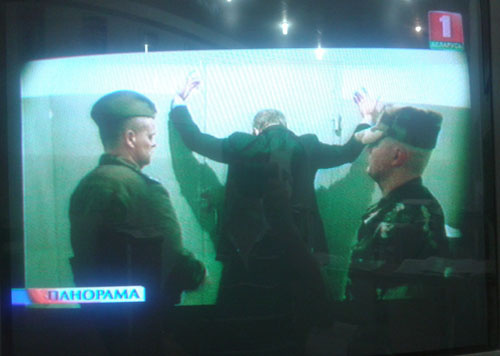 A top manager of Uralkali has been arrested in Minsk under allegation of insider trading and damaging national interests of the Republic of Belarus. He may face up to 10 years in prison but he is just a little figure in chess game between Russia and Belarus. The stakes are high – it is control of world potash market. The rental market has undergone significant changes over the past six months. Thousands of ordinary people faced with the challenge of finding housing. Meager selection and exorbitant prices for apartments of bad quality - so experts describe the situation. July has always been a kind of calm before the storm, before arrival of non-resident students. Not now. The number of rental apartments for offer has consistently decreased since March. In past years in the middle of summer market was full of apartments freed by students, which immediately increased the total supply by 10-15%. In July 2013, the increase was only 3.0%. Inside the structure, at the same time there have been significant changes. The segment of the most popular one-room apartments continued to narrow, but supply of the 2 - and 3 - bedroom apartments has increased by 12.4% and 5.9% respectively. For the first time in a long time, the offers of 1-bedroom apartments lost the lead to 2-bedroom ones.